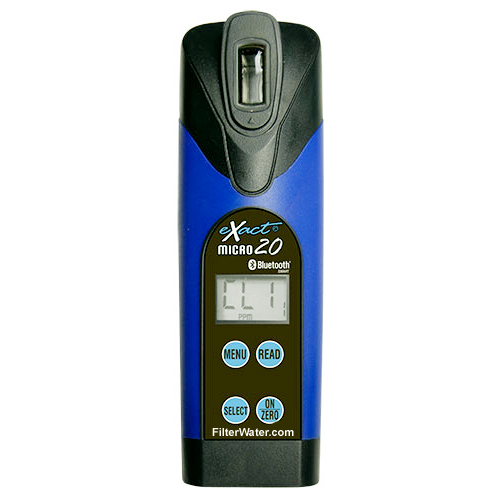 NEW: The eXact Micro 20 Photometer with Bluetooth is a ground-breaking dual-wavelength electronic water tester that can test for over 30 different water contaminants with lab quality accuracy at the lowest cost on the market. Unit self-calibrates and automatically selects the optimal wavelength for each water testing parameter. Incorporated into eXact Micro 20 Tester is a patented EZ-3 Reagent Delivery Method for simplified testing for both technical and NON-technical users. This Handheld Water Tester is ideal for residential, commercial, and municipal water testing. 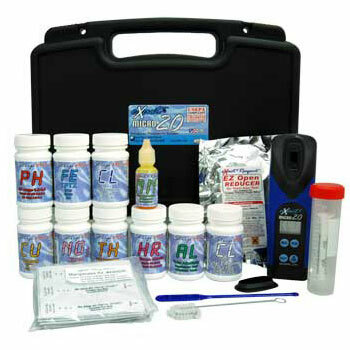 EPA, ISO and DIN Compliant testing method for Free & Total Chlorine. It is a dual wavelength (525 nm and 638 nm) photometer uses patented technologies for faster, safer, easier and more precise water testing. 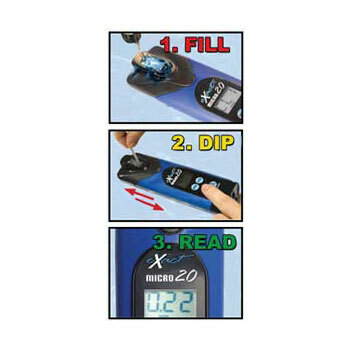 eXact Micro 20 Photometer is sold in two different kits, Standard and Well Driller Kit, with instructions and reagents. Additional reagents can be purchased separately, see below. 4. Zero meter - press ZERO button until 0.00 ppm is displayed. Sample is ready for testing. This photometer is a dual-wave meter, so it will test for all parameters that can be checked by eXact Micro 7 and Micro 8 testers, including fluoride. With a 4 mL sample cell it's environmental friendly using less chemicals than regular 10 ml tests or most other electronic testers. The meter provides accuracy you can rely on, minimum variation, and fast results (uses 20 second test method) at 0.01 resolution. Bluetooth connection, works with iPhone and Android mobile phone apps (free app download).